Gravyty, and our CEO, Adam Martel, are featured in the Prospect Research Institute's #ChatBytes Podcast, titled, "Can Gravyty get development officers to make more prospect discovery visits?". The podcast covered everything from enabling fundraisers to why AI is also doing the same for researchers. 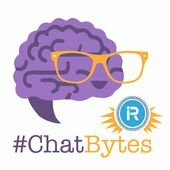 Prospect Research #ChatBytes is a podcast by and for prospect research professionals, featuring stories, tips, and commentary on topics that affect the work and lives of fundraisers. Adam was the featured guest on the most recent episode, where he was interviewed by host Jen Filla about how Gravyty uses AI to enable fundraisers. "Ever since I read the Chronicle of Philanthropy's article about Gravyty's work with the Cure Alzheimer's Fund, and I watched your recent video on DisrupTV, I've been intrigued with the implications for prospect research," said Filla at the top of the interview. Adam explained the common misconception that AI doesn't only benefit frontline fundraisers, it has an important positive impact on prospect researchers, as well. "We're not replacing the researchers, we're trying to replace what's broken about the connection between researchers and frontline fundraisers. Right now researchers are siloed in the data world. They spend a lot of time trying to feed the frontline fundraisers based on what they already know is right. We're trying to find ways to eliminate the challenges that researchers have communicating to frontline fundraisers and change the job description from someone who runs searches to being a co-partner, strategist, and someone who drives the activity of frontline fundraisers." And, if you want to hear more about this topic, connect with Gravyty and our incredible partner, iWave at NEDRA 2019, Apra's New England chapter. Together, we're inviting prospect researchers to the stage with us to act out the many challenges that get in the ways of fluid communication between researchers and frontline fundraisers. We'll also outline technology's role in removing these roadblocks.